I know, it’s Sunday, but I’m traveling tomorrow and can’t guarantee that I’ll write this post tomorrow, so to hell with it, you get it today. – The Internet is sometimes good. 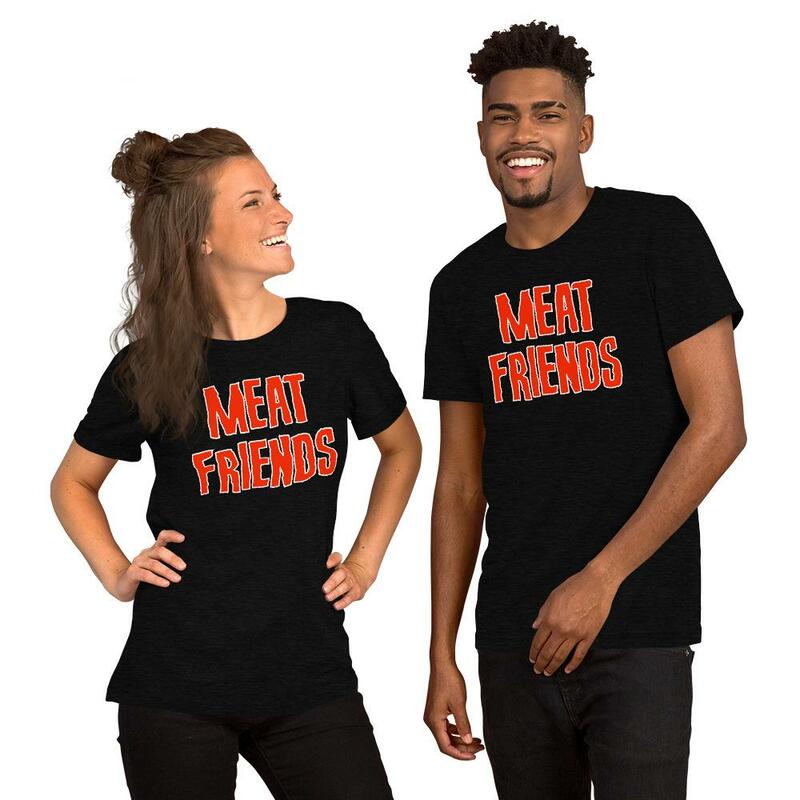 So on Friday I did an excited and yelly Twitter thread about how the human body is amazing, and from that Aaron Reynolds (of Effin’ Birds fame) said HEY I’LL TURN THAT INTO A T-SHIRT and now there’s a Meat Friends t-shirt you can buy that gives its profits (roughly seven bucks, I think) to the Girls Write Now charity. – MTFBW, I guess. So when I was ungently nudged from working on Star Wars Marvel books like Shadow of Vader, I had spoken at the time of a “second book” that I was taken off of — and some people incorrectly assumed this was a novel. It wasn’t — it was the recently-announced TIE Fighter comic book series, which is tying into Alexander Freed’s Alphabet Trilogy novels put out by Del Rey. The series is now picked up by the most excellent Jody Houser, who is awesome and I have full confidence will do 100x the job I would’ve done on it. – Skull bees, incoming. Hey, good news: Death & Honey, the trio of novellas put out by Kevin Hearne, Delilah S. Dawson and myself, got a nice review in Publisher’s Weekly: In this blood-soaked collection of fantasy novellas tied to larger series, three otherwise unconnected tales are linked by the thematic inclusion of murder and bees. Kevin Hearne’s “The Buzz Kill” returns to the Iron Druid Chronicles after the events of 2018’s Scourged. 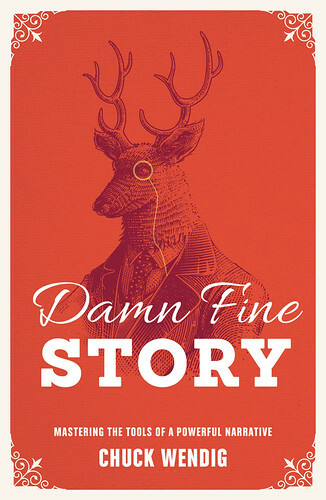 As narrated by the faithful sausage-loving wolfhound Oberon, druid Atticus O’ Sullivan investigates the mysterious death of a man deep in the wilds of Tasmania. In the weird west story “Grist of Bees” by Lila Bowen, retired monster-hunter Rhett Walker (last seen in 2018’s Treason of Hawks) is tempted back into service to rescue a kidnapped girl from a malevolent oracle on a mountain, a quest that leads the reluctant hero to face elements of his checkered past. 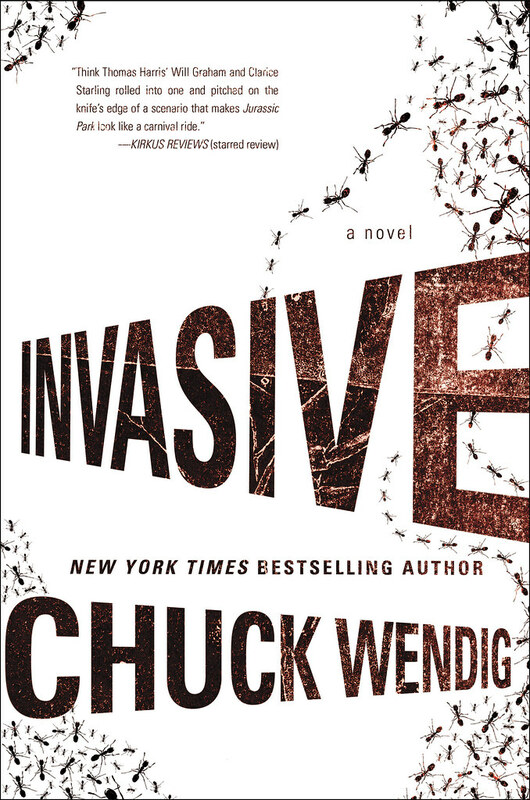 Meanwhile, Chuck Wendig checks in on the world of Miriam Black in “Interlude: Tanager,” which features Wren, a psychic teenager unable to escape her life as a hunter of serial killers. While all three stories rely heavily upon previous knowledge of their respective series, they’re still accessible for newcomers. Established fans and completionists will undoubtedly enjoy seeing what these characters are up to now. 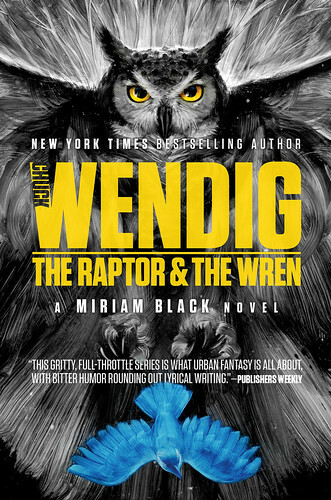 – Where’s Wendig? This week I’m traveling to NYC for Mon-Tues — no public events, doing some secret behind-the-scenes publishery things. And then at the end of the week I’m off to Seattle, where I will be hanging on Saturday at ALA Midwinter to talk about Wanderers! – Speaking of that bison-bludgeoner… though it’s a good bit of time before Wanderers actually reaches shelves (July 2nd!) it has begun racking up a heart-swelling, swoon-worthy list of blurbs from a handful of really amazing authors: Harlan Coben, Peng Shepherd, James Rollins, John Scalzi, Charles Soule, Peter Clines, Delilah S. Dawson, Kat Howard, Fran Wilde, Christopher Golden, Erin Morgenstern, Richard Kadrey, and more. I am a very lucky boy. – Vultures is out Tuesday. Watch this space. – Now here is a photo of some bread and an apple hey congrats now you’re hungry. Sure, the one weekend I’m going out of state to visit family, you’re coming to Seattle. Since I can’t offer to take you to dinner, may I still recommend the Grill from Ipanema in Belltown, Seattle? Seventeen different types of Grilled meat on a skewer that they bring to your table, plus a great salad bar – not that they need it. Truly awesome and worth the dinner out. http://www.seattlegrillfromipanema.com Have a great conference!